Google always tries to present the most relevant search results to the user and in that process it continues improving its search algorithm. 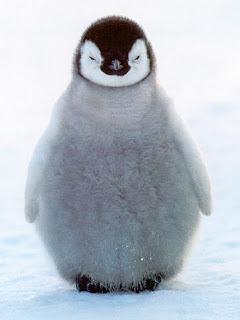 The Penguin Update is just another update in Google’s search algorithm which has been done to minimize web spam. The Penguin Update happened on the 24th of April 2012. Penguin affected around 3% of the search queries. Considering the reach of Google, this is not a small percentage. It affected many websites from different niches. Webmasters who repeated the same anchor text again and again, did some keyword stuffing, did not cared about having quality and semantic content, had almost the same content scattered around different web pages on the same site, experienced a high bounce rate, participated in paid link schemes were affected the most. You can remain safe in rankings if you follow the Google guidelines by heart. I have outlined some major guidelines which you must follow to remain safe in your rankings or to get your website back in the rankings. 2- Follow a natural pattern of anchor text. Do not repeat the same anchor text again and again. 3- Do not create multiple pages focusing the same topic, instead put all the sub topics in one place and create a better and highly relevant page. Also avoid duplicate content, even if it covers only 1-2 pages of your site. With this update, the entire site is going to get penalized if your site has even one faulty page. 4- Do some semantic research and write content accordingly. Have plenty of original information on your site. 5- Get some strong social media signals for your website. 6- Check out your website in Google Webmasters and find out the bounce rate of your site. Remember if the people do not like your site then you cannot rank well—a simple signal. 7- Check if your site has any broken links, if it has some then get it removed immediately. 8- Check out individual pages that have a high bounce rate and try to figure out what have you done wrong in those pages. Try to minimize the bounce rate. 9- Try to remain in the news always. Have your website in tweets, likes, plus ones and press releases. 10- Create human friendly titles and do not overdo with your keywords. Websites which are repeating the keywords again and again in the title tag are at a greater risk. 11- Get some authority links to your website. This could help you immensely in keeping your rankings safe. (Authority does not mean FFA links). 12- Avoid too much of reciprocal linking and if you still continue linking others then make sure you do not leave any footprints. 13- Keep an eye on your competitors and find out if they are creating some spammy inbound links to your site? If they are then you are going to be hurt with this practice. 14- Try to have strong internal linking but do not create excessive links in footer. Remember your own website is the only savior to you. Keep it simple and user friendly, attract the love of the people, and create internal links whenever necessary and you can do much better this way. 15- Do not hire someone to add positive Google reviews for your local places result. Having positive reviews from the same ip address might land your website into trouble. Again the same principle, do not leave footprints for Google. 16- Penguin is looking for websites which have purchased paid backlinks like site wide links, blog roll links, footer links etc. If you have done that too then review your strategy once again. 17- Do not create sites solely for the purpose of displaying ads, Content which starts with ads may get penalized. Maintain a healthy content to ad ratio. The users should not get annoyed with the ads. 18- If you are following a strategy of article marketing then make sure you have unique content for every article. Remember, content spinning is of no use now. You may see a decrease in your rankings for content spinning and spamming done on the article directories. Guru Mantra: - Head towards social media websites- Strong signals and a whole lot of buzz about your business can give you faster jump in rankings. Thank you Joydeep for such valuable information.